Alexandra Hunt is so friendly, right from the get-go! The photography experience with her is always relaxing and fun! We did a maternity session and a newborn session at her Langley studio. She has lots of different options for backdrops and props and outfits – which took away the hassle and stress of looking for something to wear for myself! Our photos were so beautiful! 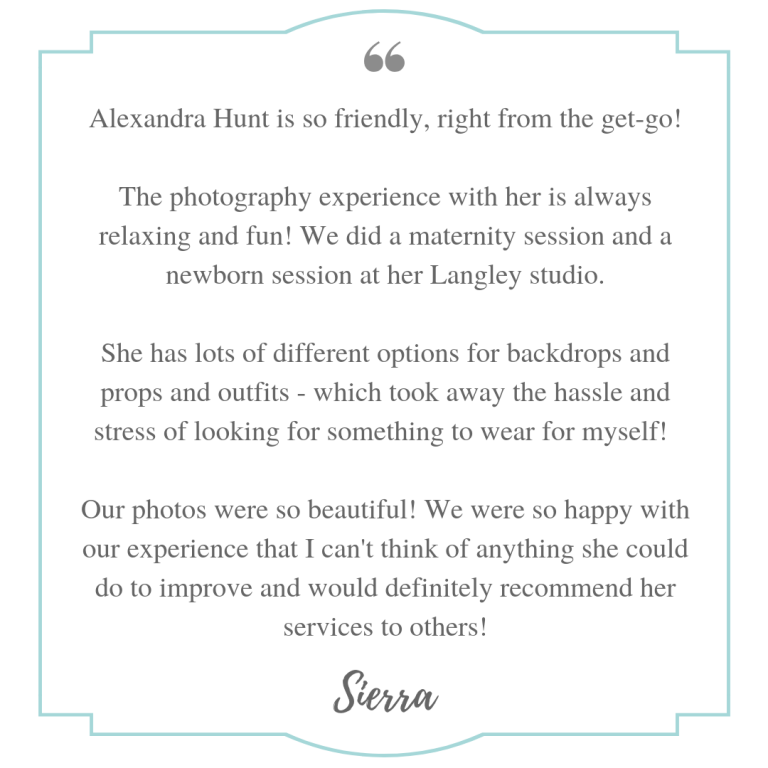 We were so happy with our experience that I can’t think of anything she could do to improve and would definitely recommend her services to others!